FUEL EFFICIENT 30 MPG Hwy/21 MPG City! Moonroof, Leather, Turbo Charged Engine, Back-Up Camera, iPod/MP3 Input, Dual Zone A/C, Remote Engine Start, Onboard Communications System, Premium Sound System, Satellite Radio CLICK ME! Back-Up Camera, Premium Sound System, Satellite Radio, iPod/MP3 Input, Onboard Communications System, Remote Engine Start, Dual Zone A/C, WiFi Hotspot, Lane Keeping Assist, Smart Device Integration. MP3 Player, Keyless Entry, Remote Trunk Release, Child Safety Locks, Steering Wheel Controls. KONA BROWN W/JET BLACK ACCENTS, SEMI-ANILINE LEATHER SEATING SURFACES With Natural Sapele wood trim. SUNROOF, POWER, WHEELS, 18" X 8" (45.7 CM X 20.3 CM) MACHINED-FINISH ALUMINUM, COLD WEATHER PACKAGE includes (KA1) heated driver and front passenger seats and (UVD) heated steering wheel rim, ENGINE, 2.0L TURBO, I4, DI, DOHC, VVT (272 hp [203 kW] @ 5500 rpm, 295 lb-ft of torque [400 N-m] @ 3000 - 4600 rpm) (STD), TRANSMISSION, 6-SPEED AUTOMATIC (STD). 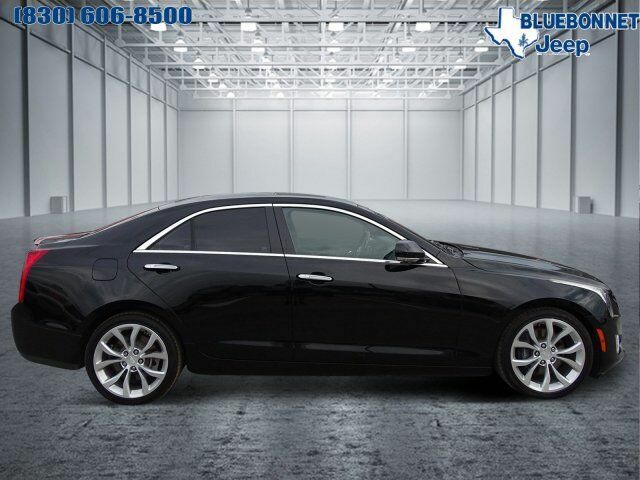 Cadillac Performance RWD with Black Raven exterior and Kona Brown w/Jet Black Accents interior features a 4 Cylinder Engine with 272 HP at 5500 RPM*. newCarTestDrive.com explains "Front seats are comfortable, and offer a range of adjustability from petite to tall. Because it's a smaller, sporty car, bolsters hug driver and front passenger tighter than in other Cadillac models, which is a good thing when navigating winding roads.". Great Gas Mileage: 30 MPG Hwy. KONA BROWN W/JET BLACK ACCENTS, SEMI-ANILINE LEATHER SEATING SURFACES With Natural Sapele wood trim.